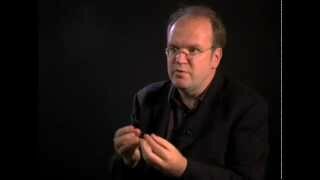 Media | Bernard Labadie | Dispeker Artists, Inc.
Cancer not only halted Bernard Labadie's conducting career in May 2014, but nearly took his life. Today, Labadie joins guest host Gill Deacon to share how his brush with death profoundly changed him as a man and artist — and what he really cared about as he felt his life slipping away. 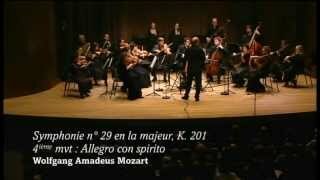 A 2013 concert of Mozart's Symphony # 29 K. 201 with the Les Violons Du Roy conducted by Bernard Labadie. 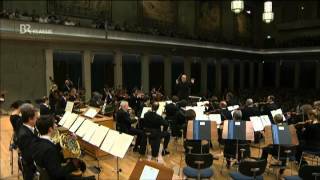 One of Mozart's early symphonies in 4 movements, it is definitely one of his better known symphonies along with symphony # 25. 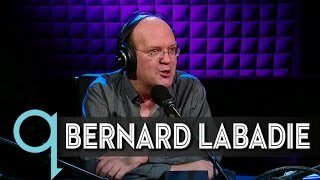 On March 25 at Carnegie Hall, Bernard Labadie conducts Les Violons du Roy and La Chapelle de Québec in a performance of Bach's "St. John Passion."